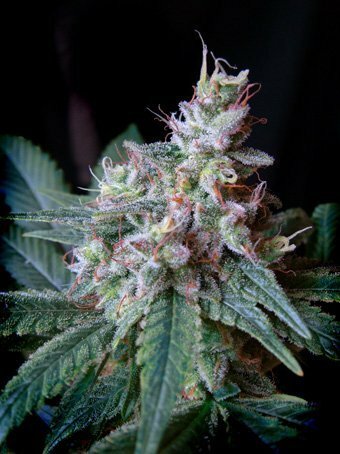 Feminized, photoperiod-dependent and ultra-fast flowering version of the most awarded strain from the Sweet Seeds’ catalog, our Cream Caramel (SWS04). This F1 hybrid is the result of the cross between an elite clone of our Cream Caramel and a selected strain of our 3rd generation autoflowering Cream Caramel Auto (SWS22). Features strong hybrid vigor that turns up into mostly indica structure plants. Shows a great homogeneity in all the offspring. The aroma is very sweet resembling caramel, with earthy tones inherited from the Blue genetic used in the cross of the original Cream Caramel. Variety featuring chemotypes with high THC levels and enough CBD to induce relaxing and antidepressant states.